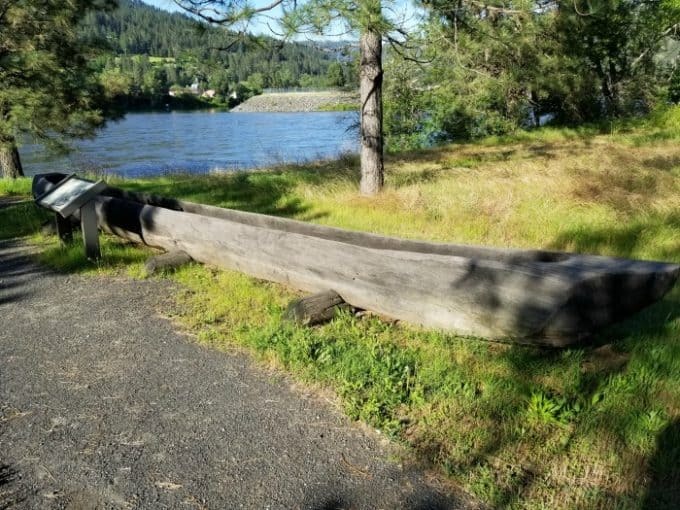 The Lewis and Clark National Historic Trail is approximately 3,700 miles long, extending from Wood River, Illinois, to the mouth of the Columbia River, near present day Astoria, Oregon. Visiting the trail all in one would be quite the adventure. The trail connects 11 states Illinois, Missouri, Kansas, Iowa, Nebraska, South Dakota, North Dakota, Montana, Idaho, Washington, and Oregon and many Tribal lands. Below is a list of sites that can be visited along the trail. Among the more than 100 sites along the Lewis and Clark National Historic Trail, only five are National Park Service sites. While there is no fee to visit the trail there may be fees charged at some of the individual sites along the trail that are run by other agencies. The Lewis and Clark Expedition traveled from Illinois to the Pacific Ocean and back between 1804 and 1806. The trail was established by Congress in 1978 as part of the national trails system (NTS) as one of four original national historic trails. Canoe Camp, part of the Nez Perce National Historical Park. There is no fee to travel the Lewis and Clark National Historic Trail. You can complete the Lewis and Clark NHT Junior Ranger Program at home. There are 20 questions on the Junior Ranger page to fill out and then mail into the national park. You can find the info on this page.